Mirror, mirror, on the wall, who’s the greenest of them all…? As if we didn’t already have hundreds of eco labels to worry about every time we visit a store, now there are green home certifications that are mushrooming up all over the Bay Area and the country. Understanding these new ways of classifying quality and operation costs is becoming a must, especially when you build, remodel or in the market for a home. Yet another chief reason for being able to decipher these new terms is to avoid growing generalizations or greenwashing. 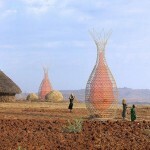 Frankly, most folks could careless about “green” homes. Very few want to pay extra for labels they don’t understand. And why should they?! 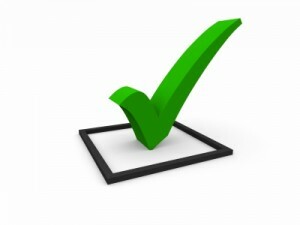 Price and quality are and should be the two high priority areas of concern. However, if you remember from a previous post called “What’s a Green Home and Why Do We Care?“, green homes address much more than just fancy “eco-friendly” building materials. They also encompass elements like energy efficiency, indoor air quality, water efficiency, materials use (recycled, reclaimed, sustainable), community and environmental impacts. 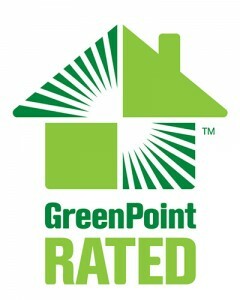 Green Point – This rating program is a child of Build it Green, a non-profit based in Berkley. GreenPoint uses a scoring system where a GreenPoint rater evaluates a home’s green features “allowing homes to be compared on a level playing field.” The program rewards building professionals and homeowners who create green homes by allowing them to brand their products with a recognizable seal of approval. Be aware though; it doesn’t take much to get yourself a “GreenPoint” title. When you see this little word “Elements” next to the rating (up to 50 points) it means only a small part of the house has some sort of green feature. When you see “Whole House,” stated next to the score, this is more exciting but again, pay attention to the score. Some “green” homes are notorious for focusing on energy efficiency but very little attention is given to indoor air quality. I’ve seen it and smelled it, that’s for sure. GreenPoint is already a mandatory rating system for newly build homes in some Bay Area towns like Los Altos and it could be only a matter of time before San Jose adapts it as well. LEED – (Leadership in Energy & Environmental Design) is an internationally recognized voluntary green building certification system from the US Green Building Council. It verifies that a building or community was designed and built using strategies aimed at improving performance across all the metrics that matter most: energy savings, water efficiency, CO2 emissions reduction, improved indoor environmental quality, and stewardship of resources and sensitivity to their impacts. 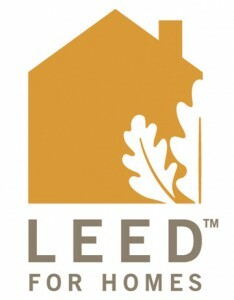 LEED homes have the potential to use 20-30% and some – up to 60% less energy. Certifications have various levels of “greenness” and are categorized into Certified, Silver, and Gold & Platinum. Neither of these certifications is easy or cheap to get. When you see a home owner or builder boasting a LEED seal of quality, rest assured they had to jump through some serious hoops to get it. Energy Star – It is very likely that up until now, you thought Energy Star applies only to your appliances and electronics. I was very surprised to find out that it pertains to homes also. To earn the ENERGY STAR, a home must meet strict guidelines for energy efficiency set by the U.S. Environmental Protection Agency. These homes are at least 15% more energy efficient than homes built to the 2004 International Residential Code (IRC), and include additional energy-saving features that typically make them 20–30% more efficient than standard homes. This is becoming a very popular certification among new homes but you will rarely see an Energy Star rating in Bay Area. Very few of our local builders have adopted it. There you have it, the most common green home certifications in Bay Area. As a general rule, it is always a good idea to dig deeper when you see a home that claims to be green. Always look for third party verifications and other proof. Let’s leave the “greenwashing” to the household cleaning product industry.